1) Take a slice of bread, apply butter and chutney on it. then put tomato, onion and capsicum and cheese on that bread slice. Sprinkle Salt, Black Pepper and Chaat Masala on it. 2) Take another slice of bread, apply butter and chutney on both the sides of the slice and cover the 1st bread slice with this one. 3) Now on the 2nd bread slice, put potatoes, tomatoes, onions and grated cheese. Sprinkle Salt, Black Pepper and Chaat Masala on it. 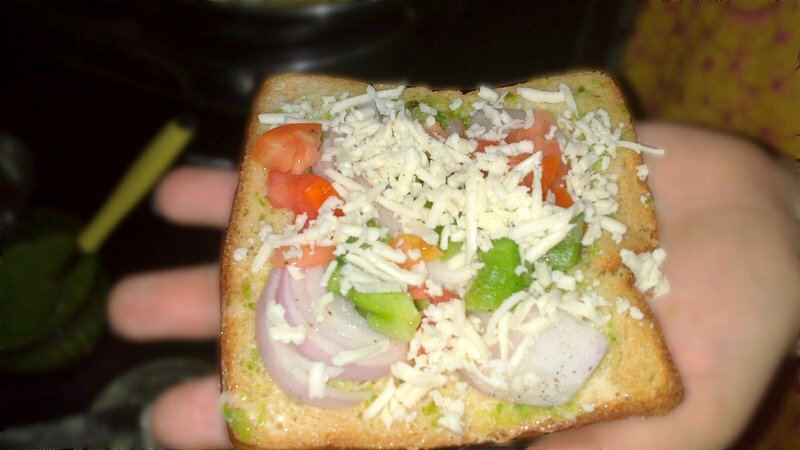 4) Take another bread slice, apply butter and chutney on this one as well and cover the sandwich. 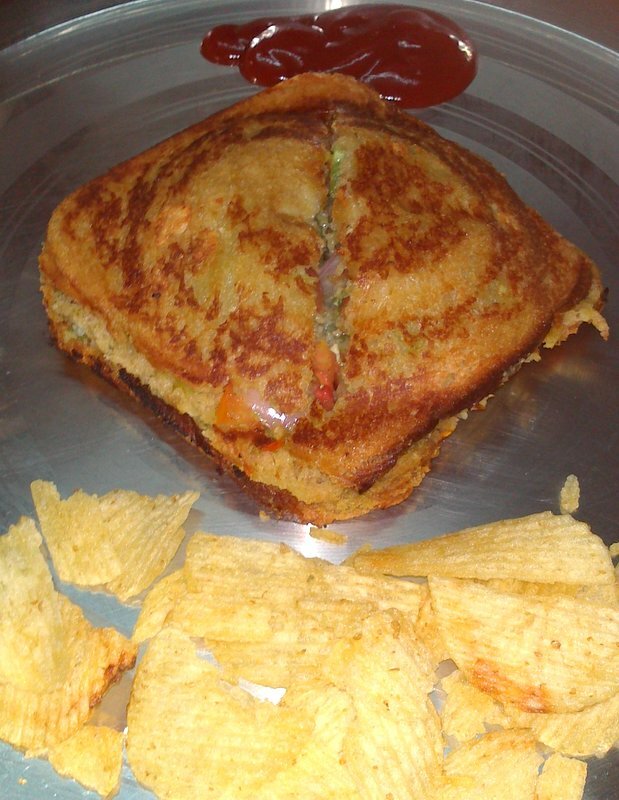 5) Toast it in OTG or tawa or sandwich maker, a club sandwich is ready in jiffy. 2) I use food processor to finely cut Onions, Tomatoes and Capsicum. 3) To make it healthier, you can use the multi-grain bread. Hi.. Which brand / model food processor do you use? How can I make this in my Microwave convection oven?